The Center hosts a semi-annual Speakers Series to highlight recent scholarship on the Sacramento region, to showcase the collections at the Center, and to reach out to audiences not normally served by the Center. The Center will debut a photographic exhibition exploring how Sacramentans reacted and responded to the Civil War. Historian Glenna Matthews will deliver a lecture entitled, “The Civil War at 150: Remembering the Sacramento and California Stories,” and Elk Grove teacher Karen Richey will discuss her award-winning Civil War curriculum. The event, Devoted to the Union: Sacramento and the Civil War, begins at 7:00 p.m.
ADVANCE TICKET SALES ONLY with LIMITED SEATING AVAILABLE! The event is open to the public; tickets are $15.00 per person. A donor package is also available for $100.00. Dr. Matthews will sign copies of her book, The Golden State in the Civil War: Thomas Starr King, the Republican Party, and the Birth of Modern California, at the conclusion of her presentation; cost is $26.00. Those purchasing the donor package are invited to attend the exhibit preview and author reception from 6:00 p.m. to 7:00 p.m. Guest lecturer Dr. Glenna Matthews and speaker Karen Richey will be available to answer questions. The package includes two tickets to the author reception and lecture, a signed copy of Dr. Matthew’s book, and light refreshments. A portion of the package is a tax deductible gift to the Sacramento History Foundation. Devoted to the Union is made possible by the Sacramento History Foundation. 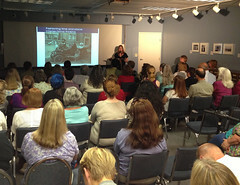 On Sunday, April 21, 2013, the Center for Sacramento History welcomed Dr. Susan Kaiser, Professor of Women and Gender Studies at U.C. Davis, a recognized authority on culture, fashion, and textiles. Held in conjunction with the Center’s Textile Tours, Dr. Kaiser gave a multi-media presentation, “Fashioning Time and Place,” and signed copies of her new book, Fashion and Cultural Studies. The presentation discussed the place of hats and headwear in fashion and culture, from the French court of Marie Antoinette to the presidential headwear (or lack thereof) of Abraham Lincoln, John F. Kennedy, and Barack Obama. After Dr. Kaiser’s remarks, attendees then took the Textile Tour and learned about the Center’s Adopt an Artifact program. Sixty-five people attended the ticketed event. Fashioning Time and Place was made possible by the Sacramento History Foundation. On Thursday, October 18, 2012, the Center for Sacramento History, in partnership with the Crocker Art Museum, presented Open Country. Filmmakers Jesse and Glenda Drew gave a live cinema presentation of their latest project, Open Country, with musical interpretations of California country performed live by local Honky-tonk favorites, The Alkali Flats. Over two hundred people attended the ticketed event. The Drew's are artists and professors at the University of California, Davis, where Jesse directs the Technocultural Studies program. Their in-progress documentary Open Country examines the social, political, and historical roots of country-western music through archival footage; conversations with folklorists, historians, and fans; and the music itself. The Drew’s shared excerpts of their film and discussed their research, while their presentation was musically illustrated through lively performances by The Alkali Flats. Open Country is a challenging and provocative look at American Country music, from its down-home origins in the rural, working poor populations of the southern United States, to its present sequin-studded Madison Square Garden extravaganzas. Open Country examines the social, political and historical roots of country music through the unearthing of archival films, the eyes and ears of the fans, conversations with country music folklorists and historians, the music of current hitmakers and the new generation of alt-country performers. The Alkali Flats hail from the Central Valley of California and play traditional high-powered Hillbilly and Honky-tonk music. The Alkali Flats have a pure and old-time authentic approach to their songs. 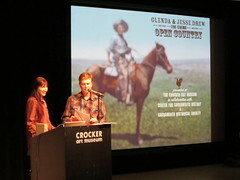 Open Country was presented in partnership with the Crocker Art Museum and the Thursdays ‘til 9 program. On Thursday, March 22, 2012, the Center for Sacramento History debuted an online exhibition and a short film that explored the purposeful life of Sacramento’s first African American attorney, Nathaniel Colley, a “giant among lawyers.” The event included a reception and a lecture by UC Berkeley Professor of History Dr. Mark Brilliant entitled, “The Color of America Has Changed: How Racial Diversity Shaped Civil Rights Reform in California, 1941-1978”. The Nathaniel S. and Jerlean J. Colley Papers were donated to the Center by their family in 2010. The collection documents the legal and civic activities of Nathaniel Colley, and is primarily comprised of speeches, statements, editorials, and publications detailing his involvement in the struggle for civil rights in post-World War II California. Over one hundred and twenty people attended the ticketed event. The Time is Now was made possible by the Sacramento History Foundation, the Wiley W. Manuel Bar Association, the Sacramento Region Community Foundation, Runyon Saltzman & Einhorn, Mr. Daniel Visnich, and Pastor Jason Sample. On Wednesday, May 4, 2011, the Center for Sacramento History, in association with the Sacramento History Foundation, hosted a panel discussion by contributors to the recent book, Remaking California: Reclaiming the Public Good. The panel delved into the causes of California’s governmental gridlock, the effects on its citizens and environment, and prospects for restoring a healthy democracy. The panel included: Dr. Jeffrey Lustig, emeritus professor of government at CSUS; Dan Walters, columnist for the Sacramento Bee; Lenny Goldberg, executive director of the California Tax Reform Association; and Osha Meserve, a Sacramento attorney specializing in environmental matters. 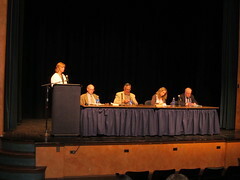 The event was held in the Jean Runyon Little Theater at the Memorial Auditorium. On Thursday, October 21, 2010 the Center for Sacramento History and California State University, Sacramento (CSUS) unveiled a new self-guided walking tour of Central Oak Park. The Central Oak Park Walking Tour brochure highlights the community’s architectural and historical significance. The evening included an address by the brochure’s author, Dr. Robin Datel, a professor in CSUS’ Geography Department. One hundred and sixty-five people attended the lecture, held at the historic Guild Theater in Oak Park. The 32-page walking tour brochure includes historic photographs of nearly forty selected locations with interpretation of their change over time. The tour highlights the development of an early suburb with its own Main Street (“smart growth” long before the label existed); racial transitions; the civil rights movement; cycles of investment and disinvestment; nurturing of the arts; redevelopment; and neighborhood activism. These themes are embodied in such buildings and places as the 40 Acres Building, the Guild Theater, the Citizens’ and US Banks, the old Post Office/Observer Building, Joyland/McClatchy Park, the Women’s Civic Improvement Club, and more. 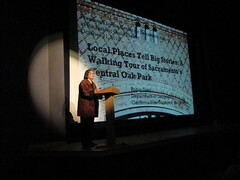 Dr. Datel’s lecture, “Local Places Tell Big Stories: A Walking Tour of Sacramento’s Central Oak Park,” addressed how she acquired the walking tour content, the key themes of the tour, and details of the individual tour sites. The lecture was supplemented by photographs documenting the tour sites and Oak Park history. In 1935, in the midst of the Great Depression, seventeen farm labor organizers appeared in a Sacramento courtroom accused of Criminal Syndicalism – the attempt to overthrow the government by violent means. The exhibition depicts the proceedings through Sacramento Bee images, original police arrest photographs, courtroom documents, and Communist literature. The trial captivated Americans from Sacramento to Washington D.C. as it exposed a perceived threat to the American way of life. 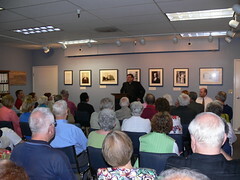 On Friday, June 12, 2009, the Center unveiled a new photographic exhibition, City of Man, City of God: The Catholic Church and the Shaping of Sacramento. The event included a reception and a lecture by Marquette University's Dr. Steven M. Avella (pdf), a leading authority on Sacramento history. 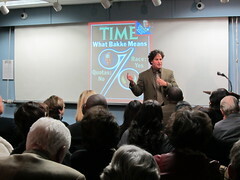 Nearly two hundred people attended the reception and lecture. The exhibition depicts the role that people of faith played in shaping Sacramento's urban agenda, from the 1850s to today. The Catholic Church, present in Sacramento from the city's beginnings, has had an important influence on Sacramento's culture and development. Yet the character of Catholic life has also been shaped by the city's diverse social, cultural, and political makeup. Inspired by Dr. Avella's new book, Sacramento and the Catholic Church: Shaping a Capital City, the exhibition depicts the interplay between the city and a community of faith in the creation of Sacramento's urban agenda. On Friday, October 17, 2008, the Center unveiled a new photographic exhibition, The Final Odyssey of Robert F. Kennedy. 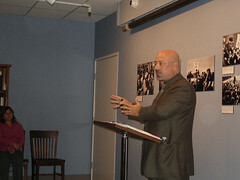 The event included a reception and a lecture by Sacramento State's Dr. Joseph Palermo, a noted authority on the 1960s and RFK. 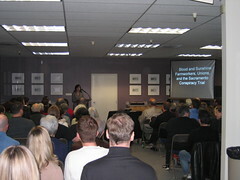 Nearly two hundred people attended the reception and lecture. Senator Kennedy made three visits to Sacramento before the California Democratic primary on June 4, 1968. The candidate made appearances at Florin Mall, UC Davis, and in downtown Sacramento at his campaign headquarters. During his last visit on May 30th he spoke from a "whistle stop" at the Southern Pacific Depot on I Street. It was during these visits that the senator was photographed by the media, which included Richard Gilmore of the Sacramento Bee and Dennis Warren of United Press International. Both of these photographer's collections were recently donated to the Center and were featured in the exhibition.